We checked out other schools in the area, and we found that MVC offers the highest quality and value for our child. The cost of a quality private school education is substantial. 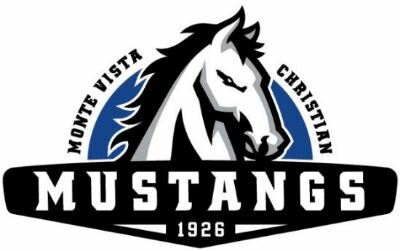 At Monte Vista Christian School, we recognize that sometimes in life circumstances arise that might require a student to withdraw during the school year. Because payment for tuition is nonrefundable, it may be in the best interest of parents/guardians to see some form of tuition relief should such a situation arise. The purpose of the Tuition Protection Plan is to allow partial refund/waiver of tuition owed under the annual tuition contract in the event of a student’s withdrawal. This plan provides a means to recover a percentage of the fees paid/or waiver of a percentage of fees owed for tuition if a student withdraws before the end of the academic year. For purposes of determining the amount of tuition refund or waiver, please note that tuition is calculated on the basis of eleven monthly segments, with the first two segments attributable to the months of June and July. Regardless of when a student withdraws from school, these two monthly segments plus all tuition through the date of withdrawal are not included in the amount of the tuition refund or waiver and will not be refunded even if the student withdraws prior to commencement of the school year. Includes disability or mental disorder certified by a licensed doctor that prevents enrollment in a school environment for the remainder of the current school year. Request for medical withdrawal must be received before any other reason for withdrawal. Election to either participate in the Tuition Protection Plan or to opt out of participation can only be made during the initial enrollment or reenrollment period by selecting the appropriate box in the spaces provided on the Day Student Enrollment Financial Contract. Families who choose not to participate in this plan and whose student(s) withdraw or are dismissed during the school year will be responsible for paying the full balance of annual tuition. The cost of a quality private school education is substantial. At Monte Vista Christian School, we recognize that sometimes in life circumstances arise that might require a student to withdraw during the school year. Because payment for tuition is nonrefundable, non-waivable it may be in the best interest of parents/guardians to see some form of tuition relief should such a situation arise. The purpose of the Tuition Protection Plan is to allow partial refund/waiver of tuition owed under the annual tuition contract in the event of a student’s withdrawal or dismissal. This plan provides a means to recover a percentage of the fees paid/or waiver of a percentage of fees owed for tuition if a student withdraws before the end of the academic year. Election to either opt into participation in the Tuition Protection Plan or to opt out of participation can only be made during initial enrollment. The Plan Participation Fee of $250 (2019-2020 academic year) will be billed through FACTS and debited on May 31. If a decision is made later to participate in TPP for the subsequent academic year, notification must be made to MVCS prior to January 31 of the appropriate academic years. Families who choose not to participate in this plan and whose student(s) withdraw or are dismissed after May 31 or during the school year will be responsible for paying the full balance of annual tuition. Boarding tuition at Monte Vista Christian includes room and board, academic advising, college application assistance, weekend trips and activities, vacation airport shuttle, transportation to SAT/ACT/TOEFL exams (selected sites/test dates only), yearbook, athletic team participation fees, various class fees, excluding special classroom activities or field trips. During non-meal times, items from the cafe will need to be purchased. International boarding students (those with an I-20) are also provided with medical insurance. Boarding students that have a US passport or a green card must provide proof of their own medical insurance.